Teaching synonyms is a fun way for building vocabulary and allowing for more concise writing skills. 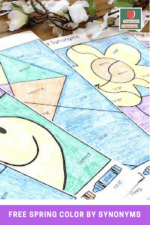 You can use worksheets, anchor charts, manipulatives, bingo, or read alouds to introduce the concepts to your children. Being able to identify synonyms – and their opposite partner words – antonyms – are super fun topics for any grade level 2nd-4th English class! Sentence structure becomes immediately better when students are exposed to variations of common words they use regularly. 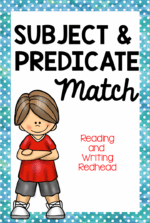 What if your teacher lesson plans taught synonyms like a word detective? The class needs to find the clues that lead to a hidden mystery word. Each day, you share another synonym for a common word and place it on a word wall or anchor chart. The master lists of synonyms grows each day, as does the student guesses as their ideas are eliminated when a new word is added. The look of excitement in their faces is so pleasing to watch. The thrill of hearing their guesses while realizing that their word choice is suddenly so much larger than it has been before. Learning has never been more fun! The best reason to teach synonyms is honestly for a wider variety of word choice that expands the vocabulary library. Isn’t our goal to grow students into better readers and thinkers? By doing specific activities in school where students use their knowledge or skill to create more complex sentences, it enhances their ability to communicate with others and learn better. After working on a classroom brainstorming list to pool together various words that can mean the same thing, make a master list of the words and photocopy one for each child to keep within his or her writing folder for easy reference while writing. I guarantee if you ask students to swap out just one word from their writing this week for another option in their vocabulary book, you will start to see students using better words more often. The bonus is that you will start to hear it in their speaking skills as well. How do you teach synonyms and antonyms? Usually teaching synonyms and antonyms goes hand in hand, much like peanut butter and jelly. It doesn’t always have to be taught simultaneously, but they are certainly two pieces of the grammar pie that go together very well. Anchor charts are a great way to teach this strategy too! This one is super cute and shows how to connect the S in synonym with the word same. Love that these are petals of flowers! 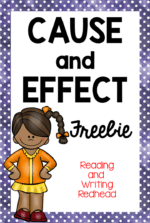 It would go great with the free synonyms worksheets I have for you below! You just can’t have an education post about teaching synonyms without seeing cinnamon rolls – haha! Need something more hands-on? How about a free pdf printable pack? I have created a fun version of a color-by-number activity: Spring Color-By-Synonyms! Super fun, right? Of course, they are all included in the free set to use interchangeably with your students’ needs. 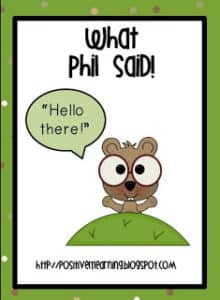 I know how you probably have a classroom full of students that could use either version, so they will all be at your fingertips for the taking! A word of warning: the higher difficulty versions do include some words not regularly used as synonyms as I specifically wanted to make it challenging. Many students will need a thesaurus or dictionary to look up the meanings of the word in question. This can be done in traditional book form, my personal favorite way to teach referencing skills in addition to the synonym unit, but students could also feasibly find help by using an online version such as dictionary.com or thesaurus.com to assist them in working through the words. These free worksheets for synonym practice can be used during your lesson, as a homework assignment, morning work, centers, or even as an extension activity for your gifted students who might be ready to tackle something a bit harder. All the answer keys are also included in the packet so you can check it in a flash. Make sure to download your free Spring Color by Synonyms Printable Pack below right now! Click here to have your free printable emailed to you now! « Best School Shoes for Teachers?